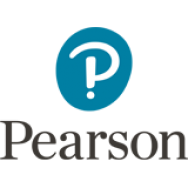 Pearson Accelerated Pathways helps companies strategically align their educational assistance spending to the talent objectives of the organization. We leverage an agnostic, consultative approach to solving educational attainment challenges and increasing economic mobility for working adults. Our prescriptive, curated mix of education resources, technology, content, coaches and partnerships work in tandem to overcome the most complex educational disparity, from your frontline to your executive employee, creating a win-win model for employers and educational providers alike. Learn how we improve business performance by building a workforce that’s more skilled, competitive, engaged, and prepared for the future of work.